The future of New Zealand’s third largest domestic general insurer is up in the air. Only just keeping its head above water in the wake of the 2010/11 Canterbury earthquakes, Tower has had a potential lifeline ripped away from it for the greater good of the health of the insurance market. The Commerce Commission last week declined Vero’s application to get clearance to take over Tower, saying reducing the number of major domestic general insurers in the market from three to two would result in a concerning level of concentration. Yet this doesn’t solve any of Tower’s financial woes. The future of the company now largely hinges on what Vero chooses - or is made by the Commerce Commission - to do with the 19.99% stake it has in Tower. 1. Raise enough capital so it can go ahead with plans announced in November to split the company in two, ring-fencing its problematic quake-related business. 2. Sell Tower to another buyer that doesn’t already have a large presence in the New Zealand insurance market. Forsyth Barr analysts Jeremy Simpson and James Bascand believe there’s only a 10% chance of option two eventuating. Because no one’s queuing to buy Tower. The Canadian bidder Fairfax Financial Holdings canned its Scheme Implementation Agreement to buy all of Tower’s shares for $1.17 each at the end of June, when Vero swooped in with an offer of $1.40. While Forsyth Barr reckons a takeover bid from Fairfax would regain its appeal among Tower shareholders, Fairfax hasn’t indicated any intention to make another offer. “The clear challenge for Fairfax is the current 19.99% blocking stake that Vero has accumulated,” Forsyth Barr says. This is what’s preventing any larger, potentially better capitalised player from entering the New Zealand market. But there’s a ‘but’ - and this is where the ComCom comes in. A document obtained by interest.co.nz under the Official Information Act reveals the Commission is undertaking a separate investigation around its concerns Vero’s 19.99% stake in Tower could contravene Section 47 of the Commerce Act. 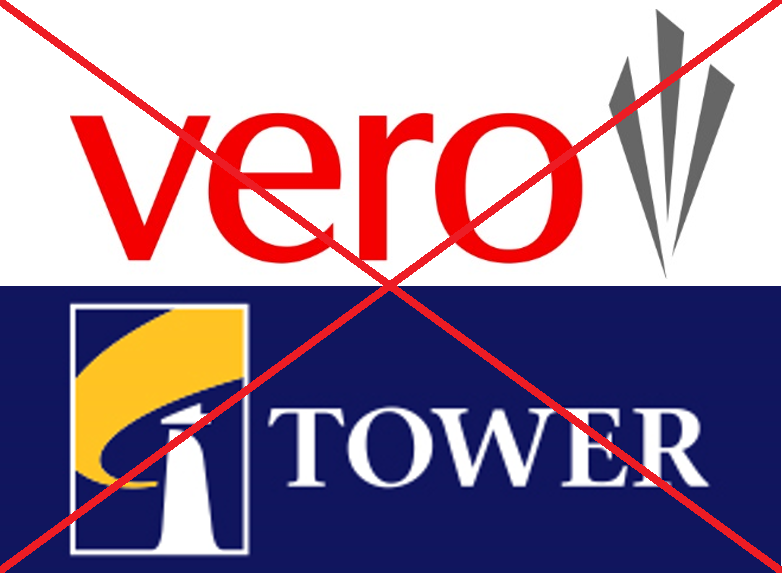 If the Commission finds that Vero holding a 19.99% stake in Tower is potentially anti-competitive, it can take the insurer to court. The ComCom’s full decision, released on Tuesday, doesn’t provide any details around this investigation. It does however assert the Commission’s position that Tower will be more competitive if it is bought by a third party rather than if its ownership remains as is. Nonetheless, Macquarie analysts believe Vero’s parent, Suncorp, will be looking to unwind its stake in Tower on its own accord. They don’t believe Suncorp will appeal the ComCom’s decision due to the cost of doing so and the reasons given by the competition watchdog for its decision. Valuing its stake at $1.30 per share, they believe Suncorp will lose $10 million to $15 million if it sells its Tower shares for 95 cents each. However they believe the ComCom’s decision will see Suncorp better off in the medium to long term, “with the additional exposure to earthquake-exposed New Zealand likely to have adversely impacted the cost of Suncorp's reinsurance program and margins”. Forsyth Barr agrees 95 cents is a reasonable “target price” for Tower shares in light of there not being any other bidders in the market and Tower’s half year results showing a deterioration of its financial position. It previously had a target price of $1.15 per share. Tower’s share price sat at $1.26 just before the ComCom announced its decision last week. It has now fallen to 94.5 cents. So with the chances of a takeover slim, Tower looks to be back to square one. Forsyth Barr maintains it will need $75 million of capital to undertake a separation of its business. The company in May accessed $30 million of new capital as a part of a $50 million loan from BNZ, as it came within $5 million of breaching the solvency requirements of its Reserve Bank licence. Forsyth Barr understands "the debt facility was intended by Tower to be a temporary measure and in place only until the takeover situation was resolved". Forsyth Barr goes on to say it believes splitting Tower will only really benefit shareholders if there is a “no-recourse solution from any potential further provisioning risk/failure” of the quake business, RunOff Co.
Forsyth Barr suggests investors sit tight and wait for word from Tower on the takeover situation, possible restructuring and capital raising proposals. It notes uncertainty still remains with regard to its Canterbury quake claims liabilities. ComComs short sighted decision could facilitate Suncorp fairly quickly recouping its $10m investment by scooping up increased market share at no cost if Tower can't achieve its proposed recapitalisation (a prospect given Canty EQ claim uncertainties ) and is broken up or ceases to operate in its present form. The Tower chairman must have had more than an inkling that Suncorp's takeover would be declined. That is on the presumption he was lobbying hard for exactly that outcome. It is curious therefore that he could not keep the highly preferred Fairfax proposition, which it would seem was engineered by Tower themselves in the first instance, in hand for just a matter of a few more weeks. Perhaps Fairfax discovered that Tower's ability to survive was highly suspect, and a lot more capital injection would be required from them than had been initially specified by Tower. Pointers such as the emergency $50mill from BNZ ( where on earth could the collateral or a guarantor for that be?) & the $40 mill or so, Peak -re reinsurance, despite that its receipt is actually subject to litigation and of a highly uncertain and protracted outcome, showing up somehow as a current assets. And then of course there are all those outstanding EQ claims which from recent outcomes would seem to be averaging well in excess of the liability Tower had recorded for them, As you said Jenee, quite perceptively, after the Young High court decision, how many more of these can Tower survive? Interesting suggestion, particularly if NAB does have ambitions of extending their role to that of an insurer. One wonders though just how bad the financial viability of Tower actually is and you could speculate that Suncorp handed Fairfax an excuse for pulling out. For instance, if the due diligence exposed an extremely marginal financial position, that Fairfax considered to be untenable, to the point that if they had been made aware of this true position in the beginning, Fairfax would never have considered any part of the venture. We will never know the detail but that may well have been the trigger for Tower then having to pay Fairfaxpenalty dues or whatever.